1. 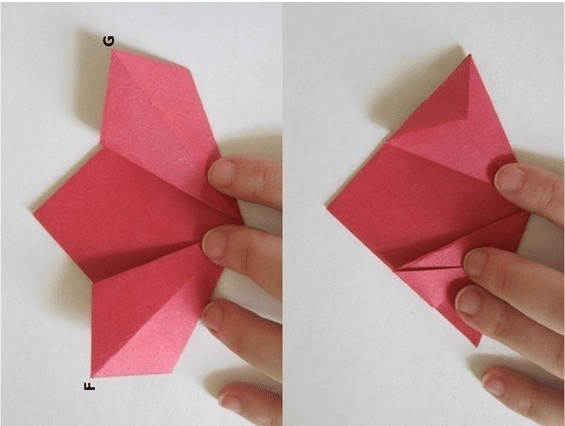 Cut a square of colored two-sided paper (the more you cut the square, the larger the flower) and fold it diagonally in half. 2. 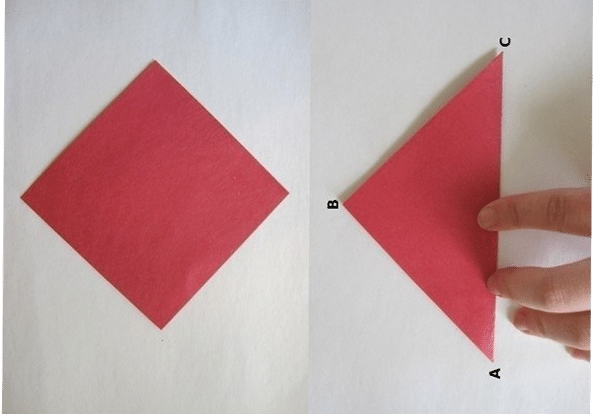 Now it is necessary to fold once again the resulting triangle, forming corners as in the picture. 3. 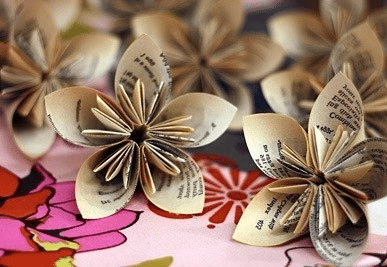 Next, we begin the process of creating the core, so that the paper flower becomes more realistic. 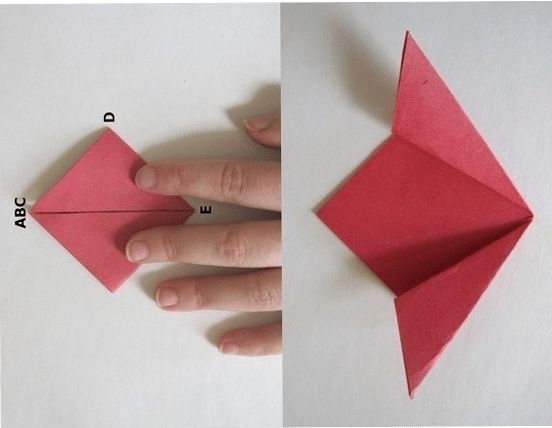 For this purpose it is necessary to bend inside external angles of the received lateral triangles. 4. 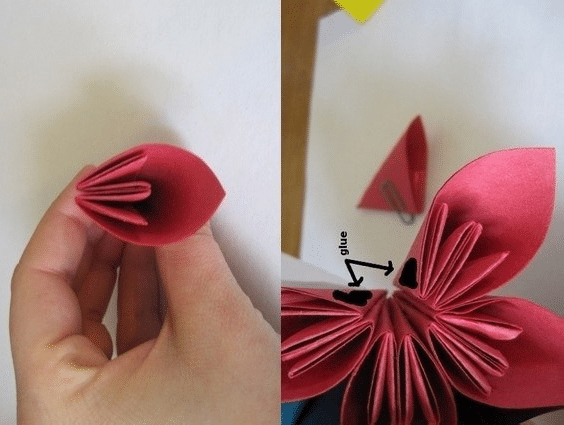 At this stage it is necessary to fold the side triangles in half so that the corners remain inside. 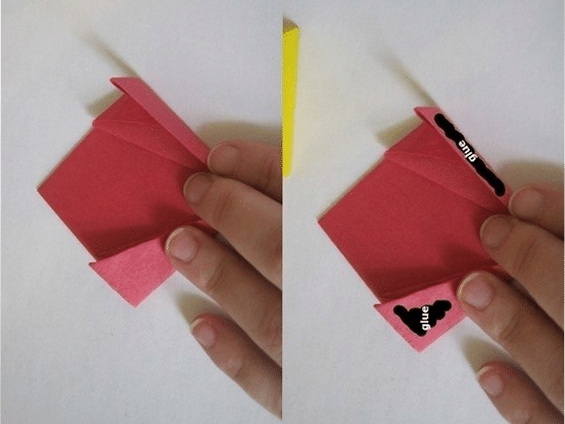 Now you need to apply glue on the edges, as in the picture. 5. We made one petal with a core for our paper flower. 6. 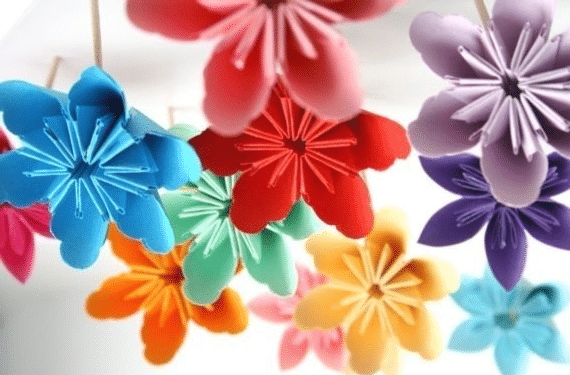 It is necessary to repeat the previous steps five more times, to glue on each side the received petals and we will leave one flower. 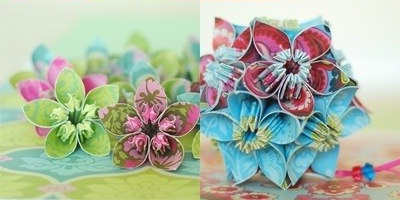 If you want the flowers to be bright, you can use two-sided colored paper with different effects. 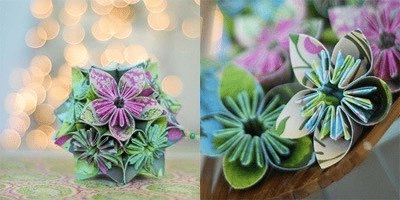 Such flowers can decorate gifts, as well as any holiday!